Leased space located in a busy area of Boca Raton with easy access to the turnpike and to the I-95 and the Tri Station. This is a high end business centre offering state of the art office facilities with high quality furnishings. Also includes a grand reception, meeting rooms with excellent amenities and makes and ideal office space for the small business professional. Occupying the penthouse of a widely renowned and prestigious commercial office building, this corporate space enjoys great views and an clean, relaxing atmosphere. It comes with optional extras such as yoga classes and healthy dining. The regional transport links are also excellent and offer all prospective tenants with a number of frequent and highly convenient travel options throughout the locality and immediate area. With a convenient commercial location set between two locally important and major international airports, and with close proximity to many excellent shops and fantastic local restaurants, this luxurious and exquisitely furnished business center offers an extensive range of professional and contemporary office solutions to suit your needs, including serviced offices, virtual offices and meeting rooms. Office space now located close to many transport points offering a range of services. 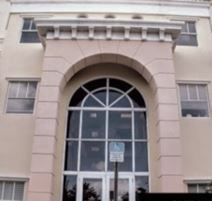 This high grade building in based in central Boca Raton near the I-95 with easy access to the turnpike. This facility offers virtual offices and serviced office suites that a fully furnished and includes reception services and some admin support. This business centre is based close to the I-95 and to lots of restaurants of Boca Raton and to the Airports of West Palm Beach, and to Fort Lauderdale. 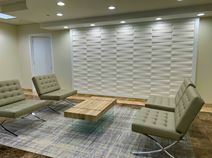 The facility is new and modern in architecture and features offices on the 5th floor of this building and offers high quality furnishings and meeting rooms. Conveniently located near the turnpike and minutes’ to the North Federal Highway, these offices offer a range of services. 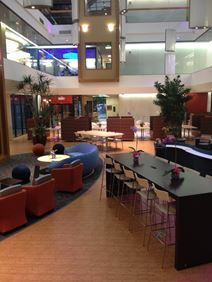 Also includes large windows to bring in plenty of light and feature well designed offices. 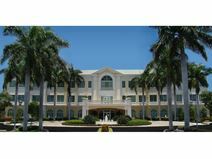 A great building is now being offered close to the I-95 and to Glades road at this Boca Raton location. This facility is close to many shops and restaurants and upscale hotels and other amenities, with easy beach access. This centre houses offices that are for individuals or for teams, with the use of conference and training rooms, furnished offices suites equipped with the latest internet technology. Plenty of admin and other support also available. Office space located in Delray Beach in spectacular surrounding feature a lot of wildlife such as turtles and fish. This facility is modern and has been newly built, featuring state of the art interiors and furnishings. Includes designer furniture and leather sofas with grand views from large windows with balconies. This highly innovative and uniquely vibrant workplace community is just two blocks from Mizner Park and mere moments from a diverse and incredible range of upscale shopping and dining destinations. This is a cutting-edge business center ideal for a range of business types across multiple industries and bacgrounds, making this center an inspiring creative business address, with a full range of business support services on offer. This center is close to Boca Raton’s Route 1 and to the I-95 with minutes’ to the Minzer Centre that includes many shops and restaurants. This Virtual office centre offers excellent amenities with complete furnishings and to access to the site’s many other locations. Enjoy complimentary access to 26 associated centers and corporate venues across multile business networks regionally, throughout most major cities. Serviced office available at Boca Raton near to the Mizner Highway close to the I-95 and the turnpike with close access to the many eateries, and shopping activities. This facility is designed well and offers high speed internet and wireless technology with excellent admin amenities when needed. Complementary parking offered to all.